This seemingly harmless cookout leftover (that would honestly seem like the perfect chew toy if you didn’t know any better) can wreak havoc on your dog’s GI tract. [post_ads]Two years ago, while visiting my sister in Tennessee, I got a call from my boyfriend Evan back home in Pennsylvania. He was pet-sitting my new dog Milo, an incredibly cute black Lab mix that was mostly well behaved, although quietly mischievous — as I’d soon find out. "Hi, Steph. Uh, don’t worry, everything’s okay now, but…"
Which is when I knew I should probably worry. Evan went on to tell me how, when he was in the shower, Milo jumped onto the kitchen countertop and ate "a couple of corn cobs." Evan thought "no big deal" but googled it just to be sure. Turns out, corn cobs + dogs = big deal! 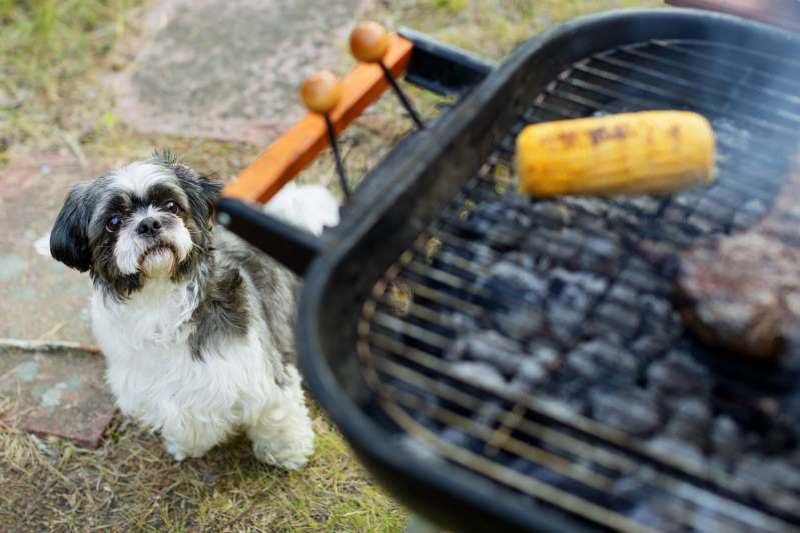 This seemingly harmless cookout leftover (that would honestly seem like the perfect chew toy if you didn’t know any better) can wreak havoc on your dog’s GI tract. Because of their cylindrical shape and the fact that they're indigestible, corn cobs can easily cause an intestinal obstruction. Untreated, these obstructions can become fatal, explains Gary Richter, veterinarian and author of "." In fact, a woman’s social media post about her 2-year-old dog that ate a corn cob and died days later recently went viral. Initially, the owners assumed the dog was poisoned since she was vomiting violently. But an autopsy and toxicology report later revealed that it was a corn cob. The core was so hard that it cut through her intestines, causing internal bleeding and ultimately her death. Horrifying, right? Milo was lucky, though. Evan acted quickly, called the vet, and — at the vet’s direction — gave Milo a dose of hydrogen peroxide to induce vomiting. Then all of the corn cob bits came up. Thankfully he had chewed them into smaller pieces. So, what exactly should you do if your dog eats a corn cob? Turns out, inducing vomiting isn’t always advisable unless your vet specifically recommends it. "Inducing vomiting at home is potentially dangerous," says Richter. "If a dog attempts to vomit up something like a corn cob, it might become lodged in their esophagus, which is even more problematic than if it is in the stomach or intestines." If you know or suspect your dog has eaten a corn cob, your first step should be to call your veterinarian immediately, advises Richter. If it’s after hours or on the weekend, call a 24-hour animal hospital in your area. Watch for signs of an intestinal obstruction. Of course, dogs won’t always eat corn cobs or other indigestible objects when you’re around — so recognizing potential signs of an obstruction is key to your dog’s survival. "Dogs with an intestinal obstruction will often vomit food and/or just fluid and may show signs of abdominal pain or lethargy," says Richter. "It’s important to note that dogs with an intestinal obstruction can pass normal stools for a couple of days, though, so normal bowel movements are not an indication there is no problem." Because there’s no way for an owner to differentiate between vomiting caused by normal GI upset or from ingesting something dangerous, it’s important to contact your vet at the first sign of trouble. For a fee, you can also call the ASPCA Animal Poison Control Center at 888-426-4435 if you’re unsure exactly what your dog ate.